Embleema, a patient-driven healthcare blockchain network for secure sharing of personal health records, has closed $3.7 million Series A funding round to accelerate the joint development of blockchain-based applications for patients and pharmacies, and further Embleema’s commercial deployment. The round was led by strategic partner Pharmagest, a leading pharmacy software group in Europe, and Techstars. 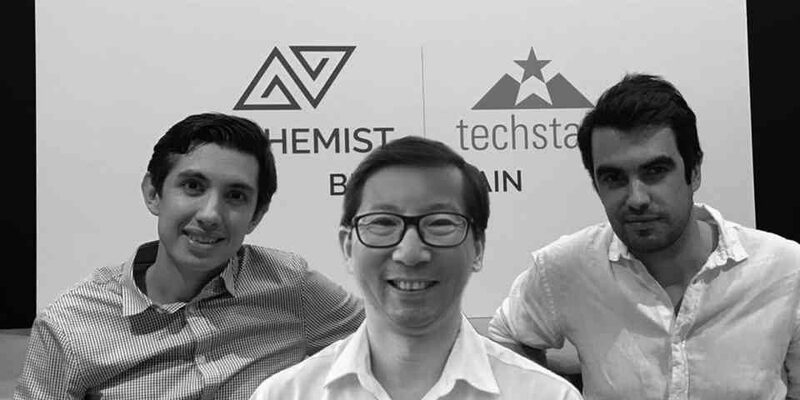 In conjunction with the funding, Embleema also announced that it’s joining Techstars Alchemist Blockchain Accelerator Program. Founded in 2017 by Alexis Normand, Nicolas Schmidt, and Robert Chu, Embleema’s blockchain network offers a novel way to put patients at the center of clinical research. Embleema is a decentralized permissioned blockchain made of HIPAA-compliant nodes. They empower patients to reclaim ownership of their data, consolidate their medical records, connect directly with research studies and be compensated for sharing their data. By improving the collection, quality and sharing of RWE, they enable medical products manufacturers to move from the current linear process of drug approvals to a new iterative model where trustworthy digital health data is shared in real time between patients, manufacturers and regulators. In July 2018, Embleema launched PatientTruth in the US, the first blockchain-based personal health record system, which lets patients assemble their health history from dispersed health records and gives them full control over data sharing with smart contracts. Patients receive tokens in exchange for their active participation in clinical research. Embleema was the first company to offer practical means for patients to own their digital health assets, providing both control and monetization without third party data brokers. Now, it hopes to accelerate the release of the first decentralized marketplace for sharing Real World Evidence and Clinical Data. Joining the 3-month Alchemist Blockchain Techstars Accelerator will enable Embleema to gain access to more than 150 mentors including Internet pioneer Jeff Pulver, Gary Rubinoff, Managing Partner of Alchemist Capital, a venture fund focused on blockchain, Trevor Koverko, CEO of Polymath, Leanne Kemp, founder & CEO of Everledger, or blockchain pioneer Steven Nerayoff, involved in top projects including Ethereum. The accelerator also provides investment capital to participating companies. Techstars, the worldwide network that helps entrepreneurs succeed, and Alchemist, a global blockchain advisory group, have partnered to bring a new mentorship-driven accelerator program to New York City: Alchemist Blockchain Techstars Accelerator. Yossi Hasson of Techstars and Steven Nerayoff of Alchemist will lead the program along with other mentors and experts from both companies. The Accelerator will help Embleema founders gain access to expertise in the nascent – yet rapidly growing – cryptocurrency and blockchain industry, helping them do more faster. Selected companies will not only benefit from resources across Techstars and Alchemist’s ecosystems, but will also have the opportunity to work closely with leading market players in the blockchain industry.